I think we can all agree that Halloween is our favourite time of year, but we don’t love the price tag that can sometimes goes with it! We all want to spooky-fy our homes with lots of decorations, especially if we’re hosting parties and expecting trick or treaters, but the costs can soon add up! As well as then adding the costs of sweet treats for visitors and our fancy dress costumes on top of that as well! 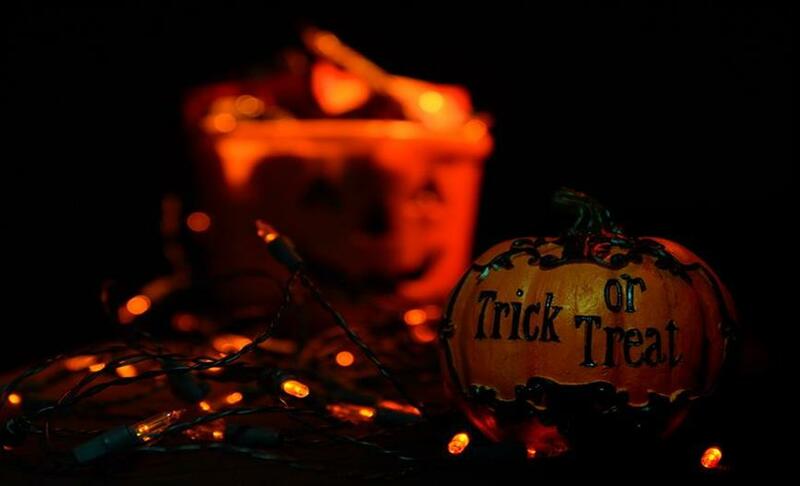 Here at Halloween Horror Shop we’re pleased that we can help you to organise Halloween on a budget, we pride ourselves in stocking decorations for all tastes and budgets! We have lots of eye-catching décor items that can help you to save some pennies – check out some of our fantastic products that will cost you under a tenner! For an authentic, haunted house vibe, why not go for something like our Church Pillar Candle which is available sizes of 15cm and 20cm, great for creating your own display, in window or table top displays. Or for the medieval kind of feel, why not try our 20cm Ivory Dinner Candles. Great for parties and family friendly décor, add some colour to your display with our Crawling Spider Tealight Holder. Why not add our Pack of 50 tea lights to place inside the holder, and in this large pack there’ll be plenty to last all through the Halloween season! Or for more spooky candle inspiration, we love our Pack of 3 Pumpkin Candles! These mini real wax candles will look great on display in any area of the home. Perfect for when you’re expecting trick or treaters or just to create a spooky atmosphere for the whole family to enjoy! For a low-cost and easy way to add a scary vibe to your home, why not try some of our Halloween banners? Available in a selection of colours and styles, just like our Metallic Banners and Fright Tape. Ideal for hanging across windows and in doorways, you don’t have to spend a lot to get your scary décor started! If you’re hosting a party or expecting guests for a spooky feast, why not make sure you have everything to make your party buffet even more spook-tacular! Available in our Halloween Decorations we have our Blood Detailed Tablecloth, Spooky Screaming Straws, Orange and Purple Paper Cups and Skeleton Design Paper Plates (which also have matching Cups). These are all very versatile decorations that will match any décor scheme and are suitable for all ages! Make sure any bare walls and doors are dressed for the spooky season! We have some great decorations that will add an instant horror theme to any room and won’t break the bank! Just like our Blood Detailed Border and our Keep Out Door Cover! Or why not point guests in the right decoration for their spooky celebrations with our Happy Halloween Sign or spruce up window and wall displays with our Tinsel Pumpkin and Ghost Plaques? What would a party be without balloons?! Our Halloween Balloons are traditional spooky colours so will match any décor scheme perfectly! And why not place treats out around the home or party venue in our cute Pumpkin Bucket? Also great for taking out trick or treating! Our budget friendly decorations think of all rooms in the home… even the bathroom! So give your guests a fright when they take a trip to the loo with our gruesome toilet seat covers in Green Monster and Zombie Girl designs! Our Help Me Shower Curtain will also keep the haunted feel running through all your home! And for just £9.99 it’ll stay in your budget! Here we have shared just a handful of budget-friendly products available on our Halloween Horror Shop website all year round! Head to the full site to see more information of these and many more! But if you’re in the mood to test your creative DIY skills why not try making some Halloween decorations of your own? Another great way to trim up for Halloween without spending a fortune! These look really cool! We probably wouldn’t recommend serving these as a snack! But they look amazing as decorations! Why not try these zombie/Frankenstein apples in your home this Halloween, the perfect kitchen décor! Why not try a DIY doorway decoration? These spooky strands are just made from cut up bin liners but will add an impressive entrance to your home and will hardly cost a penny!